A cancer-causing gas could linger inside your child's classroom without anyone knowing. 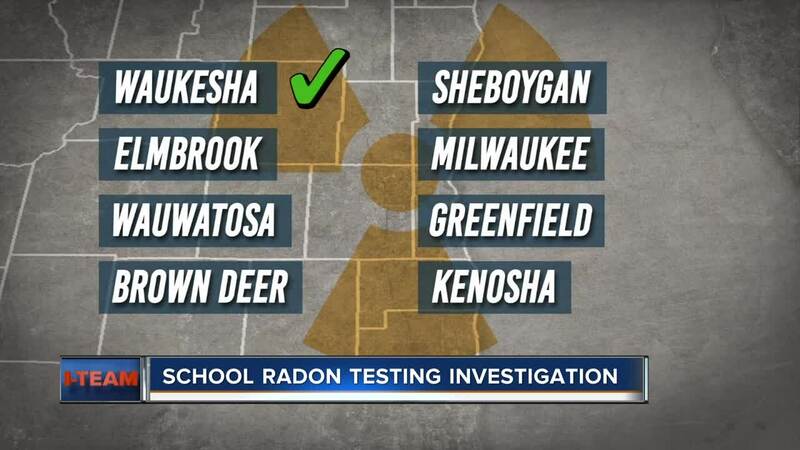 Radon exposure is the second leading cause of lung cancer, yet many Southeast Wisconsin school districts don't do any kind of testing. "My lungs are full of cancer and you can prevent this for your family," said Annie Cacciato. She was diagnosed in 2013 with lung cancer. She never smoked. Later, tests confirmed both her high school and her latest workplace had high levels of a gas called radon. "Radon is a group one carcinogen, in the same category, the same grouping as arsenic and mustard gas and people need to visualize this," she explained. Radon is the second leading cause of lung cancer after smoking- and it could be in any building, including your children's school. "Radon is very prevalent through Southeast Wisconsin and that very well could be in classrooms throughout this area," said Steven Todd of the Southeast Wisconsin Radon Information Center. The Federal Environmental Protection Agency recommends schools test for the toxic gas. That recommendation has been around for more than 20 years. But, the I-Team learned many area districts don't know if their schools have high radon levels or not. We reached out to eight major districts in our area- Waukesha, Elmbrook, Wauwatosa, Brown Deer, Sheboygan, Milwaukee, Greenfield and Kenosha. Waukesha, Wauwatosa and Sheboygan do test. The rest don't. The superintendent in Brown Deer said "this is not required per state law." Todd believes schools should be testing anyway. "I think it's important enough of a health risk for students. The long term exposure issues associated with radon need to be eliminated," he said. The tests can run in the thousands of dollars for schools. They have to put a $20 radon test kit in all ground-level classrooms. Todd said changes to a building's heating, ventilation, and air conditioning systems could fix issues, but mitigation could require a system that can again cost thousands. In his opinion and expertise, it's worth whatever the cost may be. Parents the I-Team spoke with agree. "Anything that would be a risk to our kids should be a requirement to be tested," said Sarah Denomie. Andrea Austin said it's important because she wants her daughter to be as healthy as possible. "It's something that can easily be fixed and if it reduces your cancer risk, I don't see any reason why not to do it," Todd said. According to the EPA, Dodge, Washington, Waukesha, Jefferson and Walworth counties are all high risk for testing above the recommended radon levels. Sheboygan, Ozaukee, Milwaukee, Racine and Kenosha are all considered likely to fall just below dangerous levels of radon. Radon can also impact your home. Testing is sometimes included in your inspection. You can also test by yourself .